Jharkhand Police has released JH Police Recruitment 2018 Notification to recruit personnel for 66 posts of Soldier, Subedar, Cook, Havildar and others for Special Auxiliary Police Battalion 1 and 2. Jharkhand Police Recruitment 2018-19 Online Application forms are invited from the eligible & talented candidates through online mode. Applicants will be selected on the basis of Interview to be held on November 20th, 2018. Candidates have to attend the interview on that particular date at the given address. Get further details of Jharkhand Police Soldier & Havildars Notification 2018 from the below portions of the page. The full details of Jharkhand Police Recruitment 2018 Notification like Application Fee, Selection Process, Salary, Important Links, etc. For ex-Soldier and Havildar posts, the age limit of the candidates should be between 35 years and 45 years. For Subedar Major, Subedar and Naayab Subedar posts, the age limit of the candidates should between 45 years and 55 years. 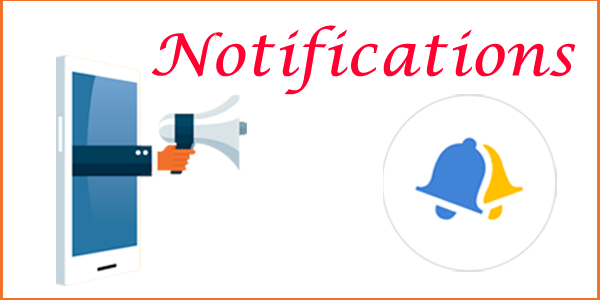 Refer the official Jharkhand Police notification 2018 Pdf. Subedar Major, Nayab Subedar (General), Nayab Subedar (Vitantu), Nayab Subedar (Technician): Rs. 25,000/-. Havildar(General), Soldier (General),Soldier (Driver),Cook: Rs. 20,000/-. Name of the Recruitment Board Jharkhand Armed Police, Bokaro. Name of the Posts or Designation Office Attendant, Cook, Water Carrier & Other Posts. Total Number of Vacancies 530 Jobs. Advertisement Issue Date 20th August 2018. Starting Date to Apply 1st September 2018. Closing Date to Submit Application Form 24th September 2018. Jharkhand Police Exam Date Notify Later. झारखंड पुलिस विभाग के अधिकारियों ने एक विज्ञापन अधिसूचना जारी की। Therefore, interested candidates can check the detailed information and apply for Jharkhand Police Vacancy 2018 on or before the last date i.e. 24th September 2018. Intenders should have passed 10th Class Examinations from a recognized or approved institution. Upper Age Limit – 25 Years. Candidates are suggested to check the eligibility details given in Jharkhand Police Notification 2018 or in the above sections. If you have satisfied the conditions, then download Jharkhand Police Application Form available in the official advertisement pdf. Furthermore, fill all the details in Jharkhand Police Application form and send it to the address provided below before the last date. Name of the Recruitment Board Jharkhand Police – under Special Auxiliary Police (SAP). Name of the Post Havildar, Sipahi, & Other. Number of Vacancies 164 Jobs. Starting Date of Online Registration Started. Ending Date of Online Registration 4th April 2018. झारखंड पुलिस – विशेष सहायक पुलिस (एसएपी) के तहत!!! 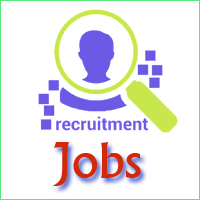 Jharkhand Police Recruitment Board published a job notification for Havildar, Sipahi, & Other posts. Therefore, this is a wonderful chance for the young graduates aiming for Government Police Jobs in Jharkhand. However, aspirants who aimed for Jharkhand Police Jobs can check their eligibility criteria from the details explained below. Furthermore, Jharkhand Police Recruitment Online Registration Form is already activated and is likely to close on 4th April 2018. Hence, its a kind request for the young graduates to go through the eligibility criteria and apply as soon as possible. As a result, if there’s any delay in filling an application form, later you might face server issues and miss a wonderful opportunity. In conclusion, Special Auxiliary Police is going to hire 164 candidates in the state of Jharkhand. Finally, Jharkhand Police Online Application forms are available at its official website www.jhpolice.gov.in. In addition to this, job seekers can access to the selection procedure, Jharkhand Police Salary, and application fees in the section below. Special Auxiliary Police has planned to fill Jharkhand Police Vacancy in the year 2018. Therefore, aspirants who aimed for Police Government Jobs should apply at www Jharkhand Police Official website. First of all, before going to apply for Jharkhand Police Job, its a requirement to check your eligibility with the educational qualifications and age limit. Candidates willing to apply for Jharkhand Police Vacancy 2018, must pass their 12th examination from a recognized institution. Aspirants should also have passes ITI from a recognized institute or university. Job seekers willing to apply for Jharkhand Police Gov In should have a minimum qualification of 12th standard. Candidates should fit the age limit criteria in order to apply for Vacancy In Jharkhand Police. Maximum Age Requirement – 45 Years. Aspirants or competitors going to apply for Jharkhand Police Gov In should also check details about the selection process, Jharkhand Police Salary, and the amount required to pay for successful submission of an online application. Candidates who have filled or willing to fill Jharkhand Police Online Application form will go through the following test process. Hence, aspirants who have applied for Jharkhand Police Latest News should habitually check their emails for any notification or updation of information. Competitors can attend the walk-in interview from 4th April 2018 to 2nd May 2018. For the details regarding application fees, you can visit Jharkhand Police Official Website or Jharkhand Police Notification which is available on the official website. How to Apply for Jharkhand Police Recruitment 2018? After that go to the official Jharkhand Police SAP Recruitment Notification 2018. Open Jharkhand Police Notification And also download it to read the instructions carefully. Click on Jharkhand Police Online Apply link and fill all the details. Check once before successful submission of an online application. At the date of walk-in interview, Carry all the necessary documents and visit the addressed venue. Job Seekers should make a note that the data explained in this article is just a comprehensive matter about Jharkhand Police Vacancy 2018. Therefore, job seekers can also visit the official notification available at Www Jharkhand Police Com. However, aspirants are recommended to download the Jharkhand Police Recruitment 2018 Notification and read all the detailed information carefully. I hope that the matter mentioned in this article with the best of my knowledge assisted you to a greater extent. Furthermore, you can make a visit the Latest Government Job Updates for more Sarkari Naukri News.